I hope you all had a good close of the old year and a fabulous start of the new year! 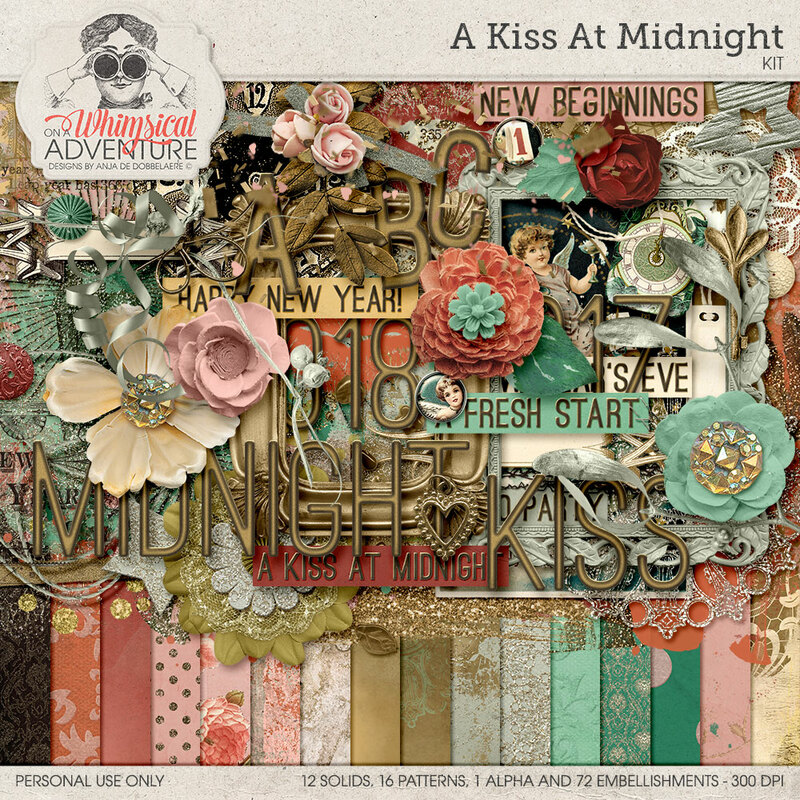 I have just released ‘A Kiss At Midnight’ in my stores, a whimsical and cheerful digital scrapbooking collection to help you document your new year’s eve memories. If you kiss someone on New Year’s Eve, you will have a year of luck in love… Or so they say. 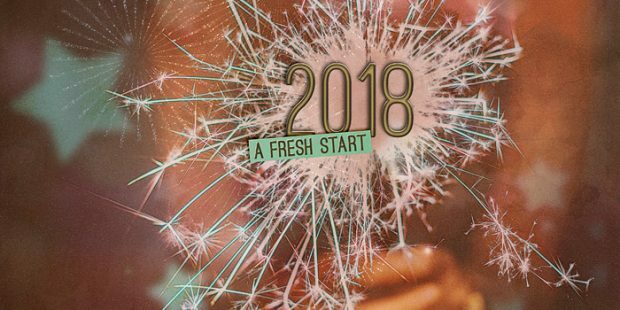 But whatever you believe, New Year’s Eve is all about having fun with family and friends and being with people you love as the old year comes to a close and a new one starts. 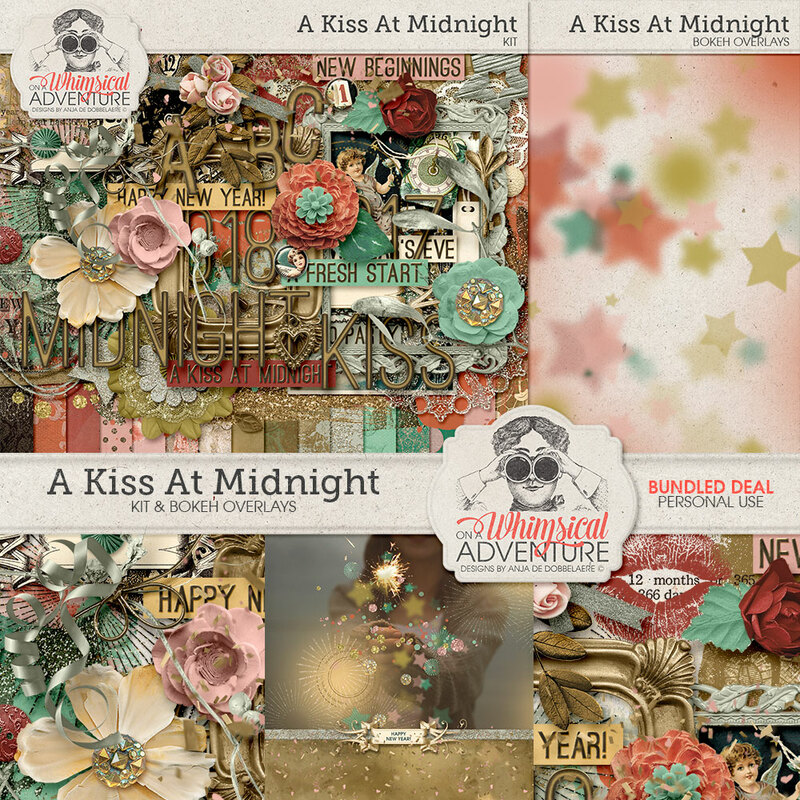 ‘A Kiss At Midnight’ was created with warm and inviting colors, beautiful papers, bokeh light overlays, a great mix of embellishments, painty bits and bobs and a delicate touch of gold. Let me show you! 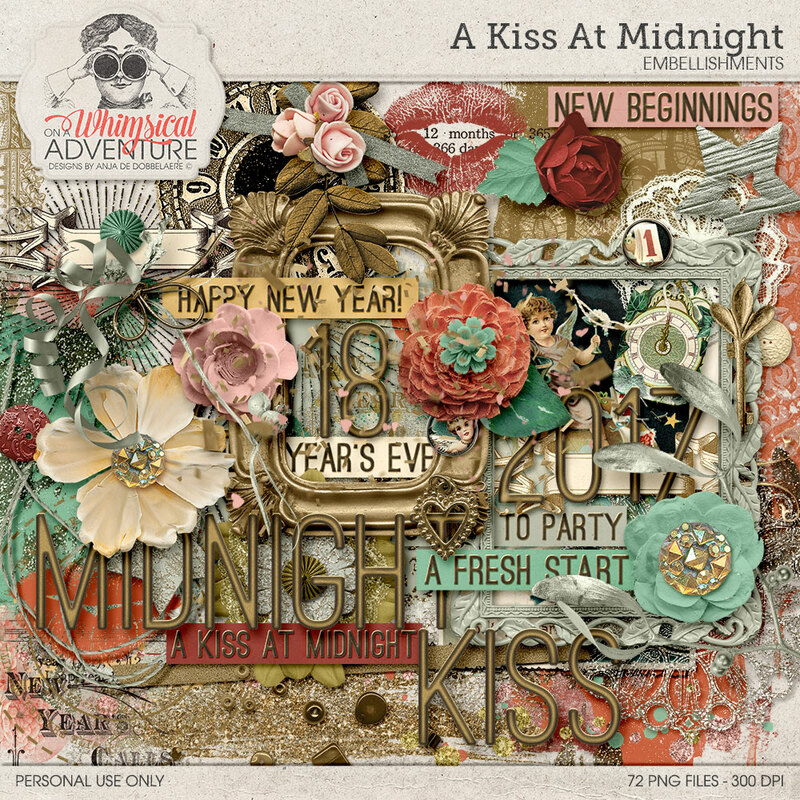 Please note that some of the embellishments and papers were previously available as part of a collab, called 365 New Chances. 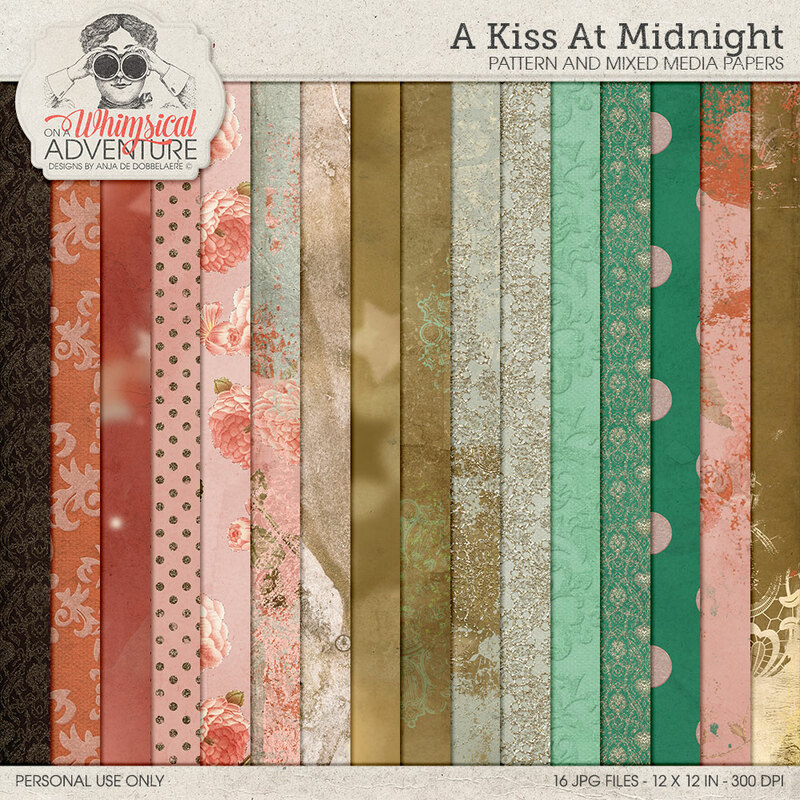 However, all has been redesigned and updated with new embellishments and papers by On A Whimsical Adventure. 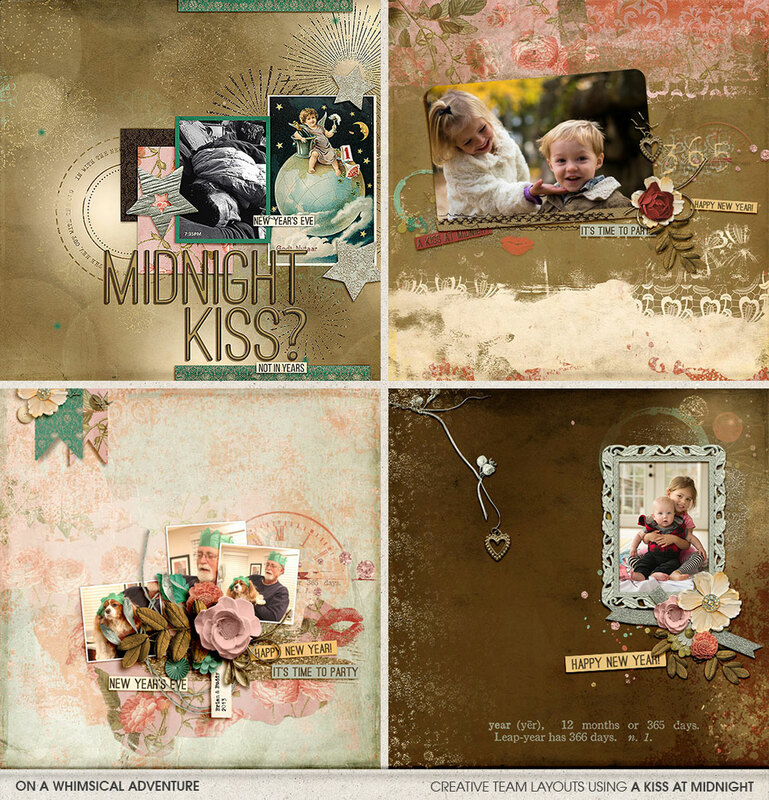 Save when you purchase the kit and the bokeh overlays together as a bundled deal! 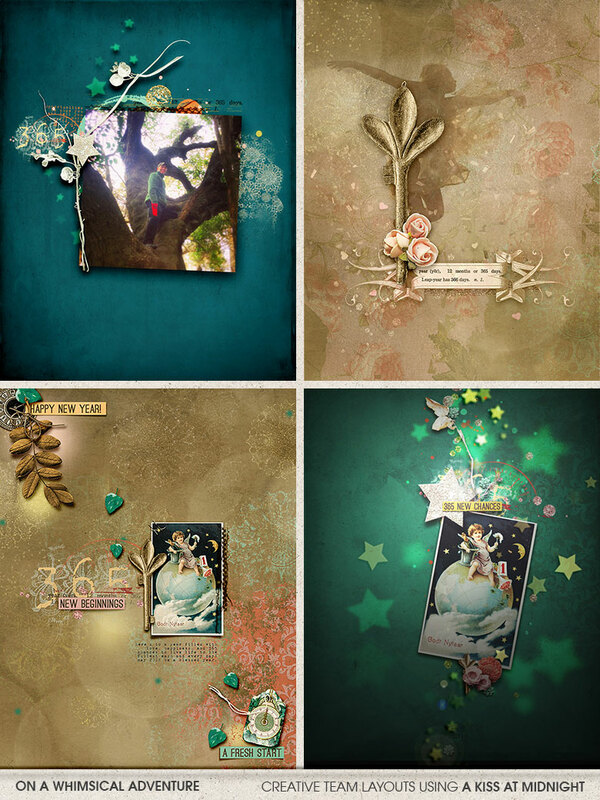 Included in the kit are 12 solid papers , 16 pattern and mixed media papers, 1 alpha and 72 embellishments. 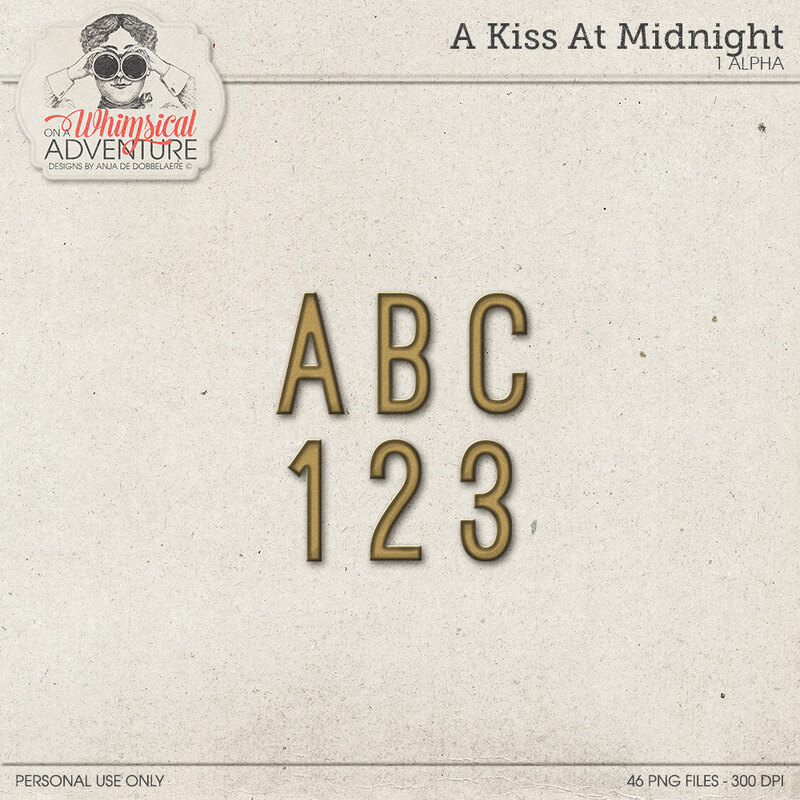 You will receive 1 complete alpha, with all letters A-Z, all numbers 0-9 and a selection of the most common symbols and punctuation – a total of 47 PNG files, 300 DPI. 72 embellishments, including year numbers 2017 and 2018, 1 silver berry branch, 2 brads, 3 buttons, 1 vintage clock, 1 ornamental clock stamp, confetti, fireworks, 8 flowers, 2 frames, 1 gem, 1 metal heart pendant, 1 key, 2 lip prints, 2 vintage ornamental labels, 1 lace flower, 3 leaves, 2 photo masks, 1 silver mistletoe, 5 paints, 1 vintage postcard, 3 ribbons, 1 bead scatter, 6 stamps, 2 stars, 1 messy stitch, 2 strings, 2 tags, 4 transfers, 2 large metal words and 6 wordstrips. 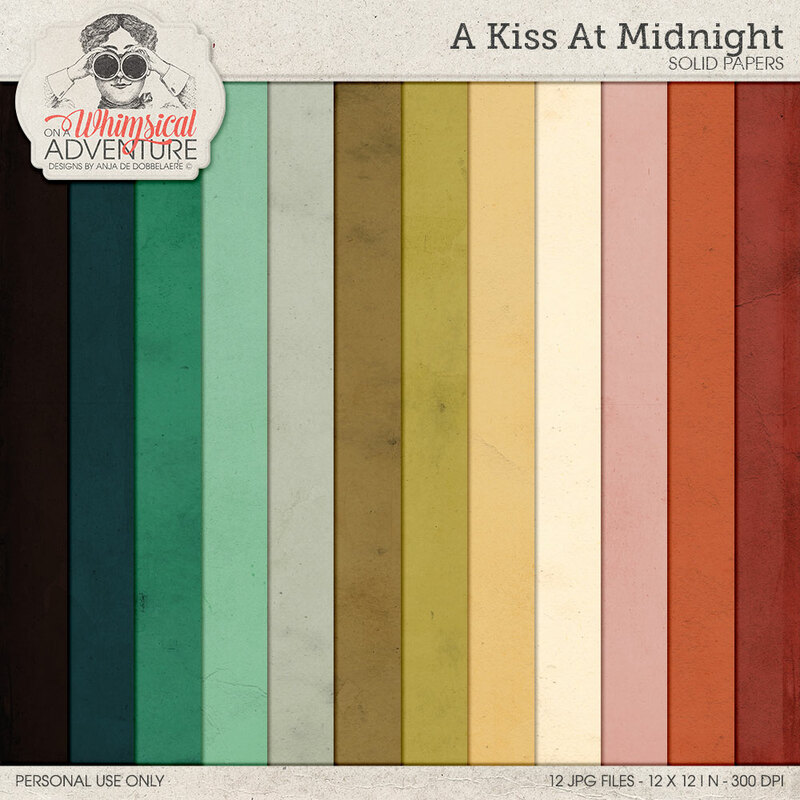 A pack with 12 solids, designed to coordinate with the A Kiss At Midnight collection. Included are 12 JPG files, 12 x 12 in. 16 beautiful festive papers with glitter and bokeh, designed to coordinate with all the other packs… Inside are 16 JPG files, 12 x 12 in. 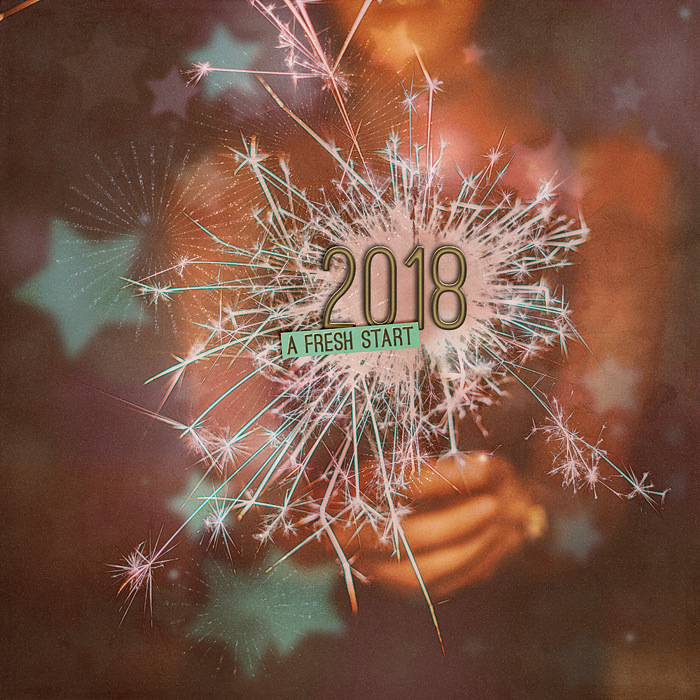 A pack with 10 festive bokeh overlays. Play with blend modes and opacity for surprising results!